This year, as the 24 Hours of Le Mans endurance race marks its 90th anniversary, there will be Bosch technology on board 21 of the cars in the starting lineup. The cars feature Bosch diesel and gasoline injection systems, hybrid components, engine control units, displays, data loggers, telemetry systems, starters and generators, as well as cable harnesses and sensors. In a first for the 24 Hours of Le Mans, the Corvette Racing team will be employing a new collision warning system developed by U.S. motor racing equipment supplier Pratt & Miller in collaboration with Bosch Motorsport. One major hazard, particularly in endurance racing, is posed by the speed differential between vehicle classes whenever high-speed LMP (Le Mans Prototype) cars come to lap GTE (Grand Touring Endurance) cars based on series production models. The new system is based on a third-generation Bosch long-range radar sensor (LRR3) fitted to the rear of the vehicle. With an aperture angle of up to 30 degrees, the sensor can detect objects at a distance of 250 meters. It can also track up to 32 objects simultaneously, along with their distance and speed relative to the car. The system combines this information with video footage to show drivers on a cockpit display the vehicles that are behind them, how fast they are approaching, and on which side they are overtaking. 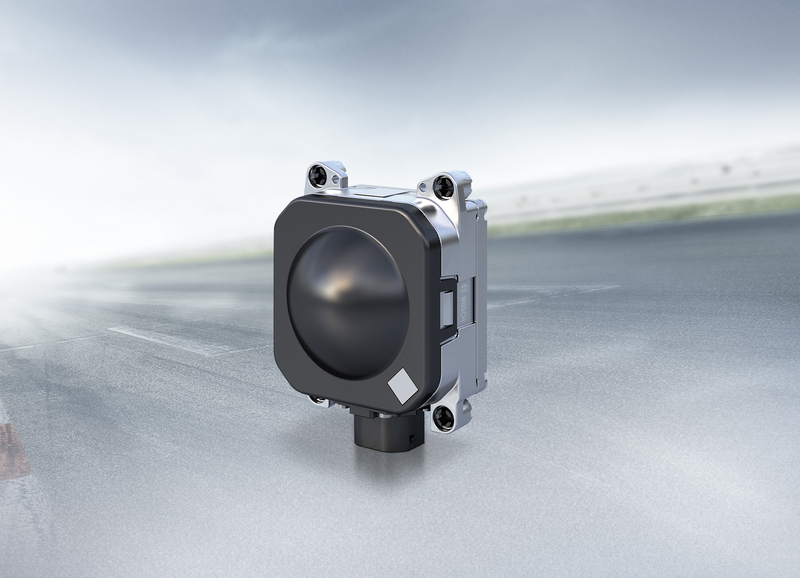 “This means drivers always know what’s going on behind them – which is a huge advantage, especially in rainy conditions or night driving,” explains Dr. Klaus Böttcher, vice president of Bosch Motorsport. Since 2000, Bosch injection technology has guaranteed victory in the 24 Hours of Le Mans. In the last six years, the only vehicles to have won the race overall have been Audi Sport and Peugeot Sport diesel and diesel hybrid cars. In 2013, Bosch is once again a development partner for the Audi R18 e-tron quattro racing hybrid, providing both the diesel injection system and electric drive components. Many of the race teams use other Bosch Motorsport technologies in addition to the company’s injection systems. The Ferrari 458 Italia GTC cars feature a tailored version of the Bosch DDU 8 display. Meanwhile Corvette Racing uses engine control units, data loggers, and DDU 7 displays for their GT2 Corvette C6.R racing cars. The SRT Viper GTS-R vehicles are equipped for the first time with engine control units and data loggers from Bosch. All these products are specially developed for motor racing, produced in small series, and carefully tailored to the cars using customer-specific software packages. Bosch Motorsport also produces the telemetry systems that transfer data between the car and the pits during a race to give team engineers a constant overview of the technical status of the car’s systems. 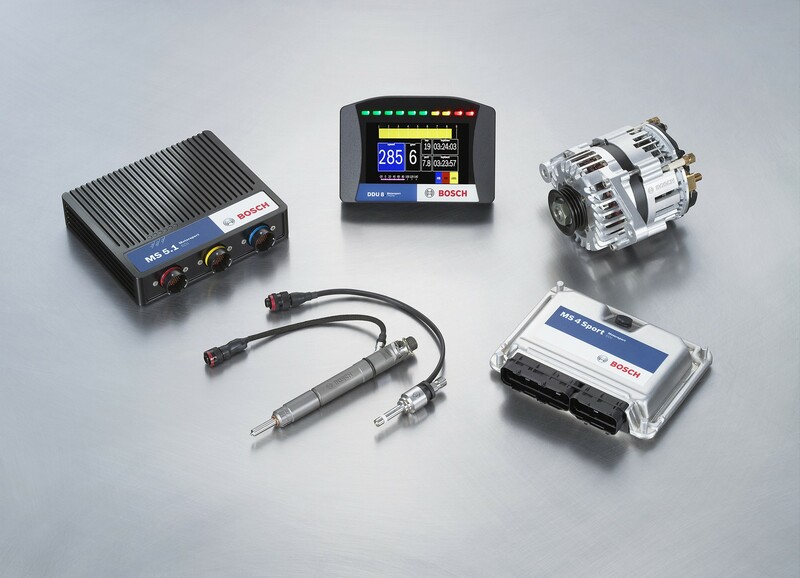 For the Porsche 911 RSR as well as Porsche 911 GT3 RSR vehicles, Bosch supplies the engine control units, engine data loggers, starters, and numerous sensors. The majority of the components are based on series production technology that has been adapted to the gruelling requirements of endurance racing.